No, Mickey Rourke won’t be playing Mr. Rogers in the biopic. The part’s been given to Tom Hanks. 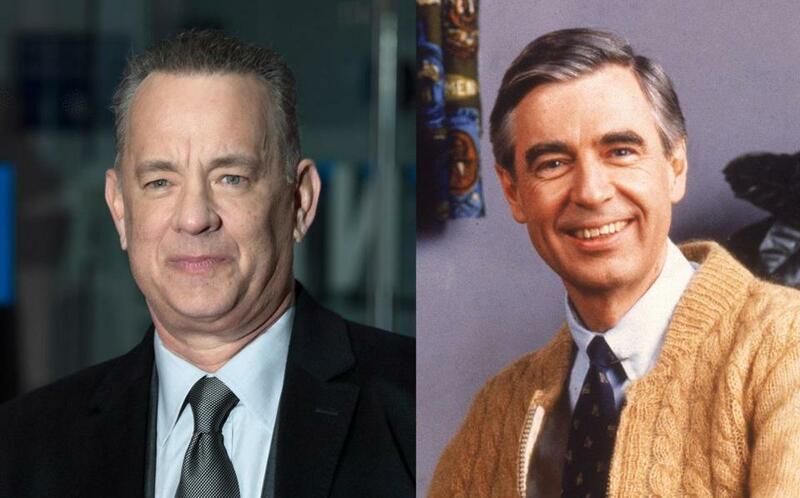 Variety reports that Hanks will play the kindly host of “Mr. Rogers’ Neighborhood” in the movie “You Are My Friend.” Marielle Heller, who directed “Diary of a Teenage Girl,” will be behind the camera and the script is by Micah Fitzerman-Blue and Noah Harpster. Inspired by the real-life friendship between Rogers and journalist Tom Junod, the movie will tell the story of a skeptical journalist tasked with writing a profile of Rogers who develops a whole new perspective on life after meeting the beloved TV icon. Rogers, who hosted “Mister Rogers’ Neighborhood” from 1968-2001, died in 2003 at the age of 74.